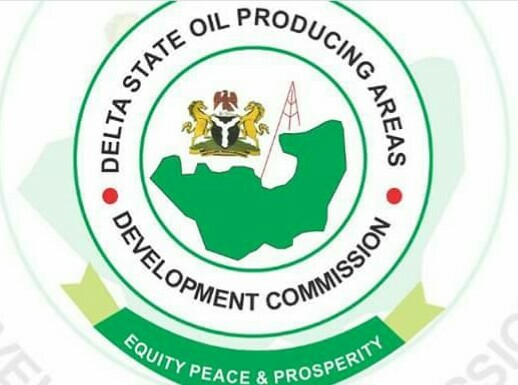 About 115 contractors doing business with Delta State Oil Producing Areas Development Commission, DESOPADEC, under the auspices of Aggrieved DESOPADEC Contractors, ADC, have alleged that about 30% of derivation funds accrued to Delta State and by extension the commission for the past three months, have been diverted for politicking. Some leaders of the contractors, who spoke to newsmen in Warri, Friday February 8, on condition of anonymity, revealed plans by them to shut down operations of the commission at the expiration of a 72-hour ultimatum which will start from Monday February 11. According to the contractors, the Hon. Godwin Ebosa led Board and Management of DESOPADEC have refused to pay them for the “contracts successfully executed, whose certificates have been with the account department of the commission for over three years, but we are aware that the board and management awarded contracts to themselves within the last three years and paid themselves fully”. The aggrieved vendors of the development agencies, whose membership cuts across Itsekiri, Ijaw, Urhobo, Isoko and Ndokwa ethnic Nationalities, stated that some of their members have died due to avoidable hardship in the last three and half years, while the banks they took loans from to execute the contracts, have continued to confiscate properties they used as collaterals. They called on Delta State Governor, Dr. Ifeanyi Okowa to as a matter of urgency address the ugly development “so as to prevent the inhumane action of the DESOPADEC Board and Management from negatively affecting his re-election bid as the March 2 election inches closer”.